Have a couple of birds that just won't leave your property? Maybe someone at your house or business cant help but share their lunch with them! Get a bird control expert and get some help getting them off of the premises, permanently! Birds, especially pigeons, seagulls, and crows begin living their lives around their new food sources. If somebody has been offering up treats to a bird, or their is some left out their for the pickings, their going to hang out with you all. This is why being hygienic is of the utmost importance when wanting pests out of your hair. It does not matter if it is a bug, spider, rodent, or bird, if it's not a human and will not leave when you want it too, it is an intruder and you should think about bring in an animal control specialist at that point going forward. If their has been a steady supply of pickings for the birds to feast on, word is going to spread around town that your house or property has got the good stuff! Before you know it, you got a flock on site chatting it up and letting free where they please. Even if you clean up for good around, it could take a long while before the birds leave, unless you call a bird control specialist that is. Birds nowadays that lie in cities are usually pretty nasty. Whether it's the pigeons or the seagulls, they often will live off of the trash that humans leave behind, and pick up all kinds of diseases along the way. 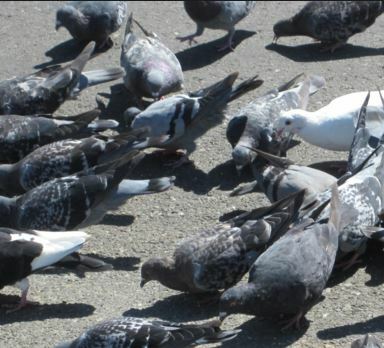 If there are pigeons or seagulls around, and especially if they are not afraid of humans, this can be a major problem and not always an easy one for people to solve without the experience doing so. It takes a special set of skills to get the birds out of the location in the first place, but it takes some extra juice to keep them out for good. Pest Control Walnut Creek has picked up quite a knack at the whole bird shooing technique. We have an assortment of techniques for getting the birds out for good. To find out and get a quick help from the bird control crew, give us a call, or fill out the contact form here on this page.